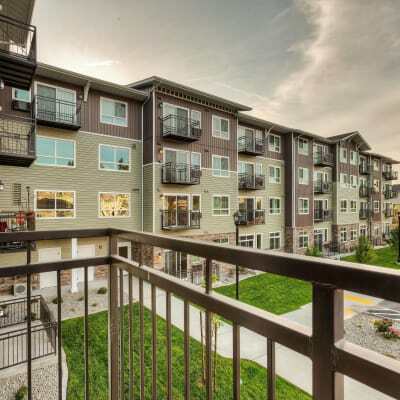 Affinity Living Communities is part of the Inland Group, which is an industry leader in the development of multi-family and age-restricted communities. In 2009, seeing a lack of quality apartments designed for active, mature adults, we set out to redefine housing for this vibrant group that was not being served and to provide a much-needed affordable alternative to the historically expensive senior living category. Since that time, we’ve developed communities that are in high demand for value-conscious, active people who are looking to simplify their lifestyle so they have the flexibility (i.e., time and money) to pursue interests and hobbies without the hassle and expense of home ownership. Contact us today to find the right location for you! Affinity Living Communities combine the very best of apartment living with the advantages of being part of a close-knit community. Our 55+ apartment homes are specifically designed to help active adults make the most of each day. Make dinner at home in your fully-equipped kitchen, then enjoy it alfresco on your private balcony or patio. Laundry day is a breeze with your own in-home washer and dryer. And you can rest easy knowing that all your utilities are included in your rent. No matter how you like to spend your days, Affinity’s extensive community amenities have you covered. 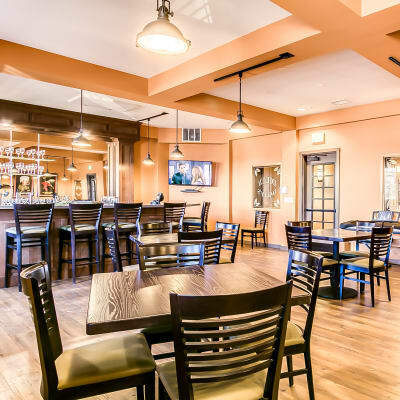 Meet friends and neighbors for happy hour at our onsite Irish pub — Dilly Dally’s, or gather to watch the latest blockbuster in our movie theater. Take a dip in the indoor saltwater pool, soak in our Jacuzzi spa, or work up a sweat at our state-of-the-art fitness center. Tap into your inner Picasso or Michelangelo in our arts and crafts room or workshop, which even has woodworking equipment. Think amenities are just for you? Our pet-friendly atmosphere is highlighted with dog parks and even dog wash stations in some. Explore all of your interests indoors and out at Affinity. What are your lease terms? You choose! We offer both long-term leases and month-to-month, depending on your lifestyle and circumstance. What is your pet policy? Your furry friends are welcome here at Affinity. Some of our properties have dog parks, dog wash stations, or are nearby to trails for walking. An extra deposit is required and there are some limitations of dog breeds. Do you offer meals? Affinity offers fully-equipped kitchens in each and every unit, so cooking is only limited by your palate and imagination. We’re also willing to help find and locate the best local cuisine as well as the ubiquitous mail-order meal prep services. What kind of events are offered? This is one of the greatest strengths of Affinity. Our staff offers Happy Hours weekly in Dilly Dally’s, the onsite Irish Pub, but the rest is driven by residents. The more you share your interests, the more connections you can make with other residents.